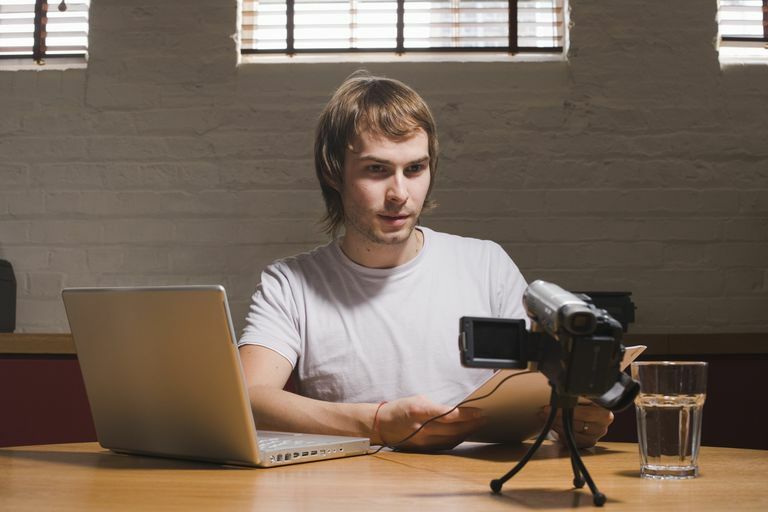 You may already have some experience editing and uploading videos to YouTube, Instagram, or other popular video sites out there, but have you ever broadcast yourself or an event for an audience to watch live? Like, in real time? It's easier than you might think, thanks to the popular live video broadcast tools available today. You don't necessarily need any fancy equipment as long as you have a working camera and microphone built in to your computer or smartphone or connected as separate devices. The following popular tools are used by individuals, business owners, and event holders who want to broadcast live video over the internet to their audiences. Notifies followers before a live event begins. Supports mobile and desktop streaming. Facebook encourages you to "broadcast live to the largest audience in the world." With Facebook Live, anyone with a Facebook profile or Page can reach a live audience on iOS and Android devices and Facebook Mentions. While a broadcaster is live, the video appears in the News Feed and on the broadcaster's profile or Page with a "live" indicator. When the live broadcast ends, the video is still viewable on the Page or profile for people who missed the live broadcast. The creator can leave it up or take it down at any time. Use Facebook Live to reach new audiences and interact with followers in real time. A Facebook Live session can last up to four hours. Accommodates an unexpectedly large viewership. No way to rewind during a live broadcast. IBM Cloud Video acquired Ustream in 2016 and transitioned broadcasters using Ustream to the new IBM Cloud Video service. The IBM Cloud Video Streaming Manager — the equivalent of Ustream Pro Broadcasting — is a cloud-based platform for the delivery of live video and on-demand content. Primarily a business-oriented service, IBM Cloud Video is designed for large audiences for event streaming or marketing launches. IBM offers a 30-day free trial of the Pro Plan which accommodates 100 to 5,000 viewer hours, 720p broadcasting, ad-free broadcasting, channel password protection, and customization. The Enterprise plan is customized for your business. It has all the same features as the Pro Plan plus 1TB video storage, 1080p broadcasting, dedicated event support, multiple bitrate streaming, live analytics, multi-device compatibility and much more. Sends notifications to followers when live video begins. Opt in or out of comments during the live video. Video is available for only 24 hours unless you share a replay. Length limit of one hour. No way to add text to video. People with established Instagram accounts can share a live video with their followers in real time. When the live video is over, it is no longer viewable on Instagram. The Instagram live video interface displays the number of viewers and comments. The broadcaster has the capability to respond to comments or to turn them off altogether. Live video generates a colored ring around the broadcaster's profile picture. The video doesn't appear on the profile grid. At the top of the broadcaster's followers' Feeds, the broadcaster's profile pic with the colored ring indicates a live video. Followers can tap it to see the video. The live video can be seen only by an approved follower for private accounts. For public accounts, anyone on Instagram can view the live video. Continuous stream up to 36 hours. Dashboard shows viewers in real time. Allows ads in livestreams for large accounts. YouTube must verify your account before livestreaming. YouTube claims access to your content for its advertising. Even though YouTube is known for providing all types of videos that are previously recorded, edited and uploaded, it offers a broadcasting feature for live video that you can access by clicking on "Live events" found in the Video Manager of your account. After you verify your account and enable live streaming, set up your webcam and engage with your audience in real time as they watch your broadcast. You'll be able to answer questions or reply to viewer comments live. YouTube provides professional controls for your broadcast and allows you to monetize your videos with ads if you so choose. Pro-level streaming from any mobile device. Integrates easily with social media sites. Editing features for saved video are basic and clunky. Vimeo Live is a robust service for people and businesses that are serious about their live broadcasts. Vimeo Live powers 10 million events annually. The service is high quality and easy to use. The company promises fast and outstanding customer service. Vimeo Live offers a free account with limited features so you can try out its live streaming products. Good for impromptu live videos. No time limit on live videos. Videos are deleted after 24 hours. Twitter uses Periscope for live broadcasts on the social media site. Comparable to Facebook's Live video, Periscope enables Twitter broadcasters to stream live video using Android and iOS smartphones and other sources. The live video can go anywhere on Twitter that a tweet can go. Your live videos are automatically saved as tweets, and you have the option of saving the video to your device when the live stream ends. It is also searchable in Periscope. You can delete any of your posted videos at any time. During the live broadcast, broadcasters can interact with viewers. Impressive interactive platform for gaming enthusiasts. Content from professionals and hobbyists. Basic account is ad supported. Chat doesn't work well with large audiences. No pause or rewind on live videos. Twitch is a platform used by video gaming enthusiasts who enjoy live-broadcasting their games and watching other users play, compete, teach, and do all sorts of other things that gamers do. If gaming is your thing, then Twitch is where you want to be. If you're looking to broadcast something unrelated to gaming, you should choose a different option. Twitch Prime membership is included with Amazon Prime. Handy editing tools for recorded video. Integrates well with social media sites. No audio level indicators or low battery warning. Bambuser (formerly Iris by Banbuser) focuses on making its mobile video sharing easy to use. Its technology makes ultra-low latency, live video capabilities possible and facilitates the distribution of HD mobile live video. The site is well positioned to meet the mobile live video stream needs of individuals and businesses alike. Users connect with the Bambuser app for Android and iOS devices. The service is also accessible through webcams and cameras connected to computers. After your live broadcast, the stream is saved to your account where other people can watch it. Bambuser is available as a free 14-day trial and three-tiered paid packages suitable for private individuals and for businesses: Starter, Medium, and Large. Home to mostly teens, especially musicians, who live broadcast daily. Broadcasters must buy a subscription. Lots of in-app prompts to send tips or buy gifts. Only subscribers can view content after its live broadcast. YouNow is a popular live video streaming and chat app that is used more for casual video broadcasts than for professional work. Users must be at least 13 years old and consent to allow YouNow to use their videos however the company wants. Because many teens use the app, privacy is a concern. The site exercises caution with content, but live-streaming is unpredictable, so there's no way the site can guarantee viewers won't see something objectionable. Not for team or office environments. Mobile apps are not as stable as the website. If you're looking to place a bigger emphasis on viewer interaction and chatting, Tinychat may be worth a try. Tinychat is an online video chat community used mostly for casual chatting purposes. You can set up your own video chat room in any category or topic and invite other users to join, or you can join an existing room to view and chat.